Bayside Pergolas offer a full design and construction service for all of our clients. All our products and services come with quality assured for your peace of mind. With over 30 years experience Bayside Pergolas is a company you can trust to get the job done. Bayside Pergolas build cost – effective quality patio and carports in the Redlands and nearby Bayside suburbs. 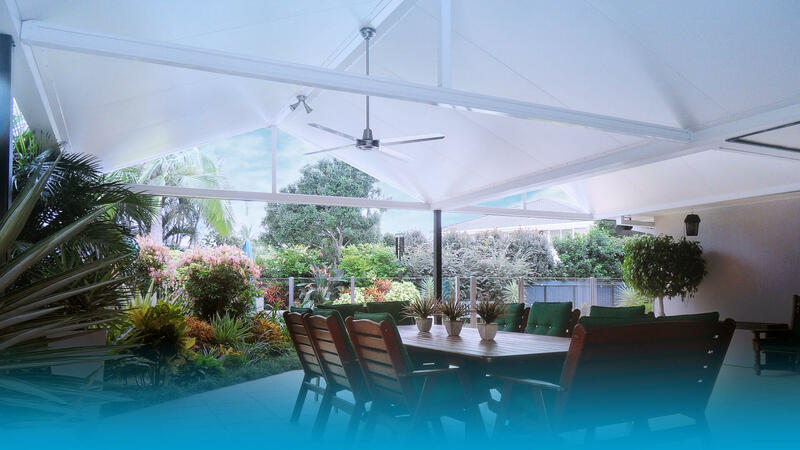 Choosing Bayside Pergolas you will have the reassurance of knowing that they have successfully constructed more than 7000 patios and carports since 1987. 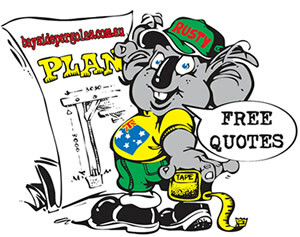 If you own a property in the surrounding area and would like a free measure and quote contact us today. After 30 years of hard work, Mike and Ben are taking a well-earned break. In the meantime, Robert and his team will happily support you through your next project. Wherever possible, Bayside Pergolas will only use Australian made materials. 1How soon can we get a quote ? Living locally, we can come and see you within a few days. Plus they all come with a ten year guarantee and delivered free of charge to your doorstep! 3I need a pergola made specifically for my garden, can you help? Yes of course - we'd be delighted! 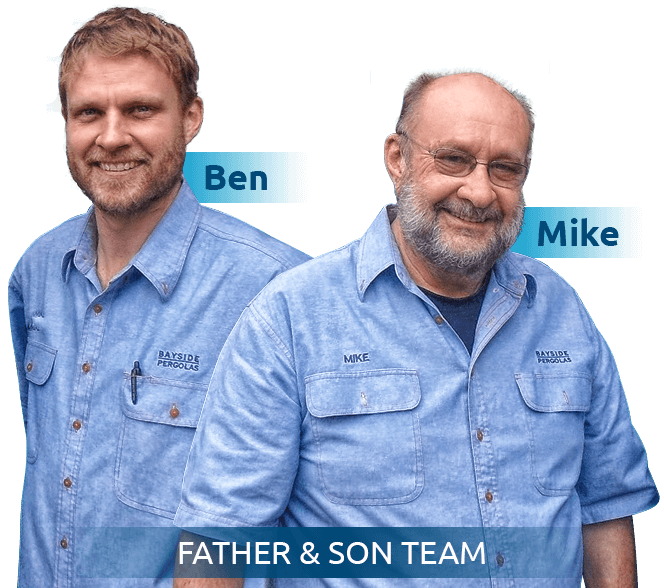 To arrange a meeting, call Mike on 0418888844 or Ben on 0409140279 to visit you and discuss the project that you have in mind. 4How is the pergola delivered to me? The pergola is delivered to you by our specialist transport team. When your pergola has been machined and is about to enter the 24hr pressurized treatment tank, we will contact you to arrange a convenient date and date when you, a member of the family or friend, can be at your home to sign for the delivery. Our dedicated team will unload the pergola components and leave it in a place where you would like it put until you are ready to assemble it. 5Do you provide an assembly service? Yes we do offer an assembly service - but we have designed these pergolas to be as simple as possible to assemble. To give you an idea our smallest MOD 1 pergola should take no more than 2 - 3 hours to complete and our largest MOD 6 pergola would be between 5 - 6 to assemble. Bayside Pergolas offer a complete, design and construction service for all of their customers . To arrange a meeting, call Robert on 0409 495 862 to visit you and discuss the project that you have in mind.